With the conclusion of Part 1 behind us, the 1~3 Star roster will see only a few new Servants over the coming period. In an effort to give more transparency behind why Servants are placed in their respective Servants, we've added a unique explanation to each Servant's placement in the Tier List. 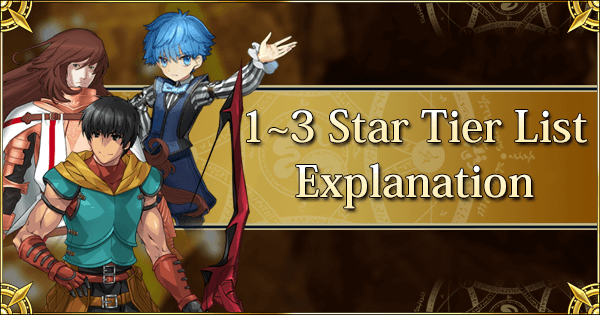 The explanations found on this page can also be read by clicking on the "explanation" button on the 1~3 Star Tier List. For the 1~3 Star Tier List, Servants who retain much of their value even as a Master's Servant roster grows ever larger, are especially valued. Usually the Servants in the 1~3 Star category carry a special niche of their own that high rarity Servants simply cannot reproduce. Arash often appears as a top farming recommendation for a reason. This great hero is absolutely fantastic at wave clearing and holds a highly valuable and easily exploitable gimmick. Being a 1-Star Servant, Arash’s team cost and investment costs are extremely low, and the potential return is very worthwhile. Not only does he have an absurdly high Noble Phantasm damage modifier, the fact that he sacrifices himself allows Arash to effectively bring in another teammate from the backline, creating numerous possibilities for team building in many farming setups. Furthermore, Arash has access to an instant NP charge skill that improves this farming niche, allowing him to put his Noble Phantasm to good use a lot faster, especially when combined with NP battery Servants or Craft Essences. However, Arash is not a one-size-fits-all Servant due to his low stats and otherwise poor skill set. His value for lies purely in farming and blowing up a wave of enemies, a talent that can even be used in some challenge quests. Saint George is a highly durable Servant. With his innate high HP, Defense buff and Battle Continuation, this martyr can take a heavy beating and still remain standing on the frontline. However, what makes him truly valuable is his Guardian Knight skill - one of the best Taunt skills available. With the help of Guardian Knight he is able to put his enormous defense prowess to great use by diverting boss attention from his teammates for up to three turns, allowing more offensive Servants to rampage unhindered. Factoring in his low cost, this defensive power makes him a highly desirable Servant for many setups in tough content, and he pairs especially well with glass cannons like Berserker class Servants. Outside of this particular role, Georgios offers little in terms of damage except some synergy with anti-dragon Servants. He will generally be sidelined when farming or when more raw power is needed. Still, George is easily both one of the cheapest and best meat shields one can rely on when things get rough. Often touted as a budget Merlin, Andersen’s claim to fame is his ability to bring a multitude of highly useful buffs to the table, including healing over time, ATK up, DEF up, Critical Damage up, and star generation. Thanks to his low rarity, Andersen has great availability, incredibly low Party Cost and low investment costs for fantastic returns. He can operate well in most generic team compositions, and thrives in more specialized setups such as Critical-centric teams or stall teams. Yet Andersen does have some notable downsides, including his lack of hard survivability skills, poor defense, and nonexistent offensive prowess. While these downsides can hamper his effectiveness in longer battles, they can be compensated for with the right team composition and he remains an excellent support for any new Masters. Despite his unusual appearance for such a renowned hero, Caesar is a surprisingly effective Servant in his own right. He provides a good variety of party buffs, and serves as a decent single target Saber for Masters who lack higher rarity options. While his skills are all quite simple in nature and usage, they offer a good amount of firepower to the team, ranging from Critical Damage and Noble Phantasm damage, to overall attack damage. His Noble Phantasm also provides a decent amount of Critical Stars and NP refund, which somewhat compensates for his poor Star and NP generation. With his buffs, and at high NP levels, his NP can deal a good amount of damage as well. Caesar’s main problem is his very poor survivability, as he lacks defensive skills while also having relatively poor HP values. Known as the closest thing to a normal person among the ridiculous Knights of the Round Table, Bedivere’s prowess as a Servant is reflected by his lower rarity. He is defined by his powerful single target Noble Phantasm, which when combined with his skill Tactics, strong Overcharge effect on his NP, and good base Attack can deliver devastating damage at max potential. His Calm and Collected skill also enables any Master access to a good 30% NP charge which proves invaluable for farming during raids or even farming in general. On the other hand, Bedivere’s skills all last for one turn aside from his mental debuff resistance buff, meaning he has quite poor sustained damage, and building up another NP burst turn often takes a lot of time. Furthermore, he has one of the worst availabilities amongst 3* Servants due to his story-locked status and lack of rate-ups, meaning getting him to NP level 5 can be a huge challenge for any Master. Despite having the appearance of a damage dealer with his above average attack and single target Buster NP, David is a fantastic support character. He offers a rare on-demand Party-wide Evasion and a Charisma buff, both of which are highly appreciated for pretty much any team. Thanks to a triple Arts card deck, he also builds his own NP bar fairly quickly and can assist the team with Arts chains as well. However, David lacks any strong steroids to bolster his single target Noble Phantasm and notably lacks the damage output of his competition. As a result, David is mainly a highly flexible support hybrid who excels at supporting powerful friend support Servants, yet, if need be, he can still offer some decent damage on the side. If there is anything Robin has in spades, it is nuking potential. In a properly set up team, watching Robin’s Yew Bow decimate an opponent in one fell swoop is a sight to behold. When unleashed on enemies afflicted by the “Poisoned” status, his Noble Phantasm can deal upwards of 3750% damage at NP level 5, making Robin an efficient boss killer, especially when he is the centerpiece of a dedicated Arts team. However, Robin’s performance outside of a dedicated Arts team is quite mediocre. While his NP damage will remain fairly high, his NP generation rate will heavily suffer. Nevertheless, Robin remains one of the best F2P damage Servants and will carry Masters through many tough fights. Behold, the killer of men, the widowmaker of FGO. Euryale is a very iconic Servant and holds a special status amongst the community for her highly specialized skill set. What makes her stand out is her ability to completely subjugate non-Lancer male bosses thanks to a combination of high bonus damage against Male enemies on her single target Noble Phantasm, NP spam potential, and Charm-locking capability. While her usage is quite limited outside of difficult male boss content, Euryale’s niche performance can outshine even those of higher rarity. It might sound a bit unkind to call this beloved and ultimate bro a “cockroach”, but that is one of the best descriptions of Cu Chulainn. Dying does not exist in his dictionary, and his kit offers fantastic survival potential. It is a frequent sight to see Cu Chulainn being the last man standing thanks to his combination of debuff clearance, hit-based evasion, and guts. However, Cu Chulainn offers relatively little outside of survivability. While he makes a great backup member for Challenge Quests, his uses outside of tough battles are very limited as he does not offer any form of team utility, high damage potential or farming capacity. Nonetheless, for Masters who either enjoy soloing or have a limited lineup for tough quests, Cu Chulainn is one of the best insurance policies one can get. While packing a highly similar skill set to his Fate/Stay Night counterpart, Cu Chulainn (Prototype) is a lot more well rounded. With his Rune Magic boosting his Critical Damage and his Beast Slayer granting Star Gathering, Proto Cu can serve as a highly effective Critical Damage dealer, assuming he has access to the Critical Stars he needs. Against Beast enemies in particular, his damage potential will rise significantly. Despite this offense, he still retains his counterpart’s excellent survivability through Protection from Arrows, making him a great F2P Servant who can provide both safety and damage potential. Yet, Proto Cu still has some notable drawbacks. His low hit counts and card set make charging his NP and generating stars difficult, and his lack of any team utility means he may have a tough time finding a place on a team when other damage dealer options are available. Jaguar Warrior is a feast or famine Servant. Her offensive potential is off the charts, and the values on her skills make even some offensive 4-Star or 5-Star Servants green with envy. When the stars align, this fluffy destruction machine can blow the enemies to hell and back with a few critical hits. However, such power does not come for free. Jaguar Warrior has a steep cooldown on her first skill, which also contains her only survivability option (albeit a very strong one). Furthermore, 2 of the 3 components on her third skill are completely useless if she is not on the correct battlefield, which is the majority of the time. Last but not least, she does not build her NP bar as fast as many other Lancers due to a combination of poor NP gain per hit, lack of an NP charge skill and lackluster hit counts on her Arts and Quick cards. Nonetheless, for any Masters looking for a strong damage dealer with high burst potential, Jaguar Warrior is the one. Being one of the F2P heroes of the masses, Ushiwakamaru distinguishes herself with a powerful single target Noble Phantasm and decent team support capacity on the side. 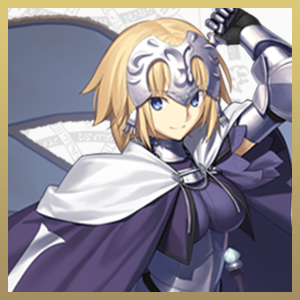 As such, she is often called upon by many Masters looking for powerful single target Riders, and she can even often outperform several higher rarity Servants while requiring low maintenance over the course of battle. Ushiwakamaru does have some notable drawbacks, namely her poor deck layout and very low hit counts resulting in a combination of subpar damage, NP and Star generation on her normal cards. However, given her status as the most damaging 3* Cavalry Servant for taking out Demon Pillars, and the lack of high-quality F2P single target Riders in general, Ushiwakamaru is a great investment for any new Master. The Witch of Betrayal offers a combination of an instantaneous nuke and highly desirable utility for hard content. With her signature skill Rapid Words of Divine, Medea can fire off her Rule Breaker whenever it comes off cooldown (just level 4 of the skill offers a whopping 101% NP upon use). Her Noble Phantasm comes with a very rare Buff Removal effect upon use that is pivotal for many quests that feature bosses who spam a lot of annoying buffs. Furthermore, Medea can also clear debuffs from allies with her third skill upon completing her Rank-Up Quest. This is extremely valuable for many situations, as on-demand, targetable debuff clearance is hard to come by and can trivialize debuff reliant bosses. To compensate, Medea’s damage potential is on the lower side due to the poor modifier on her Noble Phantasm as well as the low Caster class damage modifier. Her survivability is also quite mediocre, as Medea lacks a hard survivability option (Evade/Invincibility) which is often essential in difficult encounters. Utilized properly though, Medea will be an invaluable asset for many Masters. His low rarity and Berserker class do make him extremely squishy (despite having a heal-oriented kit), which is often not impactful due to Spartacus’s main usage as a farmer for many 3 Turns farming setups. Outside of his farming niche, Spartacus does find some use in harder content which features multiple enemies in a wave, thanks to his extremely low Party Cost. All in all, Spartacus has a very specific usage and will help out most Masters a ton when crafting farming teams, but his performance outside farming teams is nothing special. Do not pursue Lu Bu. No, seriously, this guy is a walking nuclear warhead. Lu Bu is infamous for his absurd damage potential, so much so that he outdamages the vast majority of the SSR Servant roster assuming his NP is at level 5 while theirs are at level 1 (which is a very common scenario for most Masters). Not many bosses can survive a Noble Phantasm Buster Brave Chain from this man with all buffs active, making him a highly accessible burst specialist for many 1-turn teams. However, Lu Bu also possesses some deadly flaws to balance out his sheer power, namely having the durability of a wet paper towel and completely lacking the NP generation or Star Generation to set himself up. Thus, he only truly shines in a team built around him and is still very prone to dying to random critical hits. All in all, he is a highly valuable Servant with clear strengths and weaknesses who can be used virtually anywhere provided he is given the necessary tools for the job. Low Rarity AoE Sabers are hard to find in Fate Grand Order, as the class is infamous for having no bronze Servants. Naturally, that also raises the value of Fergus, whose claim to fame is being pretty much the only accessible AoE Saber from the Friend Point gacha. However, Fergus is by no means a pushover. Possessing a heavy Buster-centric deck, decent base stats, a good skill set with reliable steroids and an Interlude that boosts his Noble Phantasm modifier, Fergus can serve the role of an AoE Saber more than adequately for many new Masters. On the other hand, Fergus has lackluster NP Generation and even after his Interlude, his NP Damage doesn’t really stand out at NP5 compared to higher rarity Servants at NP1. Thus he fails to carve out a long-term niche for himself once a Master’s roster becomes more developed. 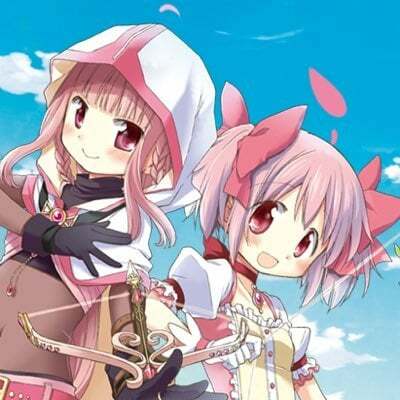 Kid Gil is a solid AoE Archer with a wide array of positive traits. His damage output is on the higher side amongst 1*-3* Servants due to a balanced BBAAQ deck, strong base attack, Independent Action and a high level of Charisma. After finishing his Interlude, his AoE Noble Phantasm starts outputting notable numbers, with the extra benefits of very strong, albeit short-lived debuffs. Furthermore, Kid Gil’s solid base NP generation is further boosted by a fantastic Golden Rule skill, putting him above many of his competitors in this regard. That being said, Kid Gil does have quite a few problematic aspects to his game that hold him back from the top. His Star Generation is not particularly outstanding, and he lacks any form of additional Critical Damage self-buff to make great use of his Independent Action and high base Attack. Additionally, Fair Youth is often a dead skill due to its unreliability and poor range of targets. Last but not least, Kid Gil has no powerful self-buffs to amplify his damage output, which may result in some less impressive numbers and clearing time. In conclusion, Kid Gil is a good solution for Masters who miss out on powerful AoE Archers like Nobunaga, Atalante or EMIYA, but until he gets more tricks up his sleeve or more damage, he won’t be climbing to a higher tier any time soon. Billy has a ridiculously strong Critical-focused kit that makes even some SSR Servants jealous. When his passive Independent Action, first and third skills are used together, he can reach a whopping 162% Critical Damage bonus and output seriously impressive damage numbers. His other skill, Quick Draw, is a plain and simple 50% NP charge which is always a fantastic boon to have. In the right team, Billy can easily function as the primary damage dealer. However, this smooth cowboy has some serious drawbacks to his game, namely his poor NP generation rate per hit and a reliance on others to bring the critical stars he needs to crit. His lack of a way to increase his Star Weight to make his Critical hits more reliable further impedes the ease of use of his critical hits, and he only possesses a single Buster card which greatly limits the potential crit damage he can do. He is certainly a strong addition for Masters looking for an affordable single target Archer, but he definitely requires a proper team setup to truly shine. Touta is a highly unusual Servant. All of his skills at first glance are great independently, providing some of the best survivability a 3* Servant has to offer. His Noble Phantasm grants him a good niche in Anti-Demon bonus damage, which is a common enough trait to make it useful. Touta’s main problem lies squarely in his damage output. While it is by no means bad, his skill set and base stats do not provide enough firepower to back up his Buster-centric kit, resulting in a mismatch in identity as he ends up being just decent at both surviving and doing damage. All in all, he is still a decent Servant, but aside from killing Demonic enemies, he is often sidelined for Servants who are more specialized at either stalling or/and dealing damage. As a rare low-rarity Taunter, Leonidas is a highly useful Servant in tougher content. Compared to Saint George who occupies the same niche, Leonidas is less consistent overall. His on-demand Taunt skill only lasts for 1 turn, and while his Noble Phantasm provides a Defense buff, critical stars and a Taunt for 3 turns, getting Leonidas to 100% NP gauge in good health is often fairly challenging and requires help from the team. That being said, Leonidas does have other merits to make up for it. The King of Sparta has a party-wide Buster buff with nice uptime and decent value, which is quite valuable for offensive Servants such as Berserkers who often employ his protection. He also has Lancer class star weight, which is easier to work with for critical compositions compared to other strong taunt Servants. Overall, Leonidas is a valuable low rarity Servant who will prove his worth often in Challenge Quests or if some combination of defensive and offensive Buster support is necessary. Despite fielding somewhat unimpressive damage numbers, Medusa is still quite useful for most Masters. Thanks to her Rank Up granting her a small NP charge through Blood Fort Andromeda, Medusa is a great budget farming Rider when paired with Starting NP Gauge Craft Essences or NP Battery Servants. However, aside from her farming potential with her Noble Phantasm, Medusa’s overall damage output is quite mediocre. A combination of a QQAAB deck, the current lack of an NP Upgrade, and the low value on her only steroid, results in reduced performance for longer quests. More often than not, Medusa is relegated to being a farm bot for daily or event quests where she can one shot a wave with her Bellerophon. Outside of that, she is outclassed by other more powerful options. Alexander is a very straightforward Servant with a simple skill set, decent values, an NP Interlude, and a decent overcharge effect. For F2P Masters, Alexander is an effective budget AoE Rider for farming with decent team offensive support in the side, particularly for more Quick-oriented teams. His accessibility and simplicity make him quite beginner friendly. Aside from that, he doesn’t bring any particular niche or unique value to the table. 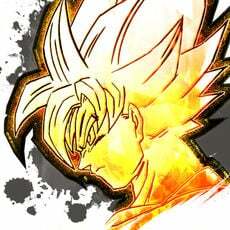 His damage output is at best slightly above average, while his generation stats are mediocre. As a result, Alexander tends to be phased out once Masters acquire more powerful AoE Riders or alternative Quick support options. Despite a seemingly weak base stat line, Edward Teach has some great tricks up his sleeve. First of all, he offers great team-wide support in the form of Attack and NP damage buffs, and great healing (particularly for female allies). Furthermore, for a low rarity Rider, his burst and damage are surprisingly decent due to his two steroids and how he can make use of the myriad Buster Supports available. Thanks to these tools, he works very well in short battles where he can support the party with strong burst potential during Noble Phantasm chains while not being a complete deadweight after using up all his cooldowns. On the other hand, Blackbeard has some highly notable flaws: his lack of a way to build up his NP gauge to quickly access Queen Anne’s Revenge, his poor base stats, and the terrible bonus effects on his Noble Phantasm. While he is far from a top tier pick, this otaku pirate might surprise many Masters with how effective he can be. Shakespeare is a highly accessible offensive support who shines in fast battles. His main features are his powerful single turn team-wide Buster buff and his targetable 20% NP charge. These skills alone make him a fantastic combination with the Chaldea Combat Uniform for Masters who enjoy employing buff stacking setups with high burst damage. Outside of this particular niche, the playwright sadly does not offer much else. His damage potential is nonexistent until his NP Upgrade and his buffs all fall off after one turn, which makes him mostly deadweight afterwards. Nonetheless, he is still a worthwhile Servant to level up for many one-turn setups for farming and boss killing alike. Mozart has a highly specific use, and one which he is incredibly good at. Often used alongside the Chaldea Combat Uniform Mystic Code, Mozart is an effective facilitator in many 1-turn setups for Critical-centric Servants, as he can guarantee a 100% Critical rate for the entire team on Turn 1, something no other Servant can do by themselves. Furthermore, his first skill is a powerful one-turn Arts buff for the entire party which greatly aids any Arts-centric team when it comes to one-shotting a target. As one-turn setups are quite effective in many scenarios in the game and Mozart’s material costs and Party Cost are incredibly low, the reward for raising him is tremendous. However, do not expect him to be of any use after his skills are used, as his terrible base stats and completely nonexistent offensive prowess make him a liability for most teams. Sasaki Kojirou is a reliable Single Target Assassin for new Masters despite his low rarity. Packing a synergistic skill set that gives him good self-sufficiency as both a Critical Star generator and Critical Damage Servant, Kojirou can deal solid damage at lower levels and carry new Masters through the beginning of the game against Rider bosses. Unfortunately, he does suffer from poor base stats as a 1* Servant and most Masters will eventually replace him with stronger, higher rarity Assassin. Nonetheless, due to the poor availability of great single target Assassins, and his low cost to raise and field, Kojirou is a worthwhile Servant to use for those who are still lacking on that front. Few can claim to be better Star Generators than Cursed Arm, especially for his low cost. With a triple Quick deck, solid hit counts, strong base Star Generation and low investment requirements, Hassan hits all the good marks for being a dedicated Star Generator for Critical teams. In addition, he has access to great survivability thanks to Protection from Wind. Unfortunately, he suffers from the main issues associated with his class. His damage is generally quite poor due to low base stats and Assassin Class modifiers. In addition, while he is very useful for helping powerful Critical Damage Dealers in the early game, once Masters get more tools that can supply Critical Stars he is often relegated to the bench. Still, as a standalone Servant, his kit is quite robust. Chuuni as he might be, one should not underestimate Fuuma’s potential in the Star Generation and team support department. With 3 Quick cards, each hitting 4 times, and an A+ rank in Presence Concealment, Fuuma can easily serve as a dedicated Critical Star battery for any team. His support potential is not to be underestimated either, as a targetable Dodge is hard to come by, while a Star Generation buff, an AoE Skill Seal (on his NP), and an Attack + Critical Rate debuff are all appreciated in many circumstances. Fuuma’s damage, however, suffers as a consequence, as he lacks any form of steroid to bolster up his already poor attacking prowess. His Noble Phantasm, while highly useful in generating Critical Stars and debuffing enemies, also does not hit particularly hard. All in all, Fuuma has a very clear and distinct role and playstyle, and will not let you down if he is played to his strengths. It is best to think of Jekyll as a Berserker rather than an Assassin. With possibly the strangest gimmick amongst all Servants, Jekyll is highly difficult to fully utilize even for more advanced Masters. Once transformed with his Noble Phantasm, Jekyll becomes a monster Damage Dealer with an outstanding HP pool to boot. He is extremely reliant on getting off his Noble Phantasm as soon as possible, preferably with high NP level and Overcharge to further improve his massive damage potential. In addition, Jekyll is a lot more dependent on skill levels than most Servants, which means Masters need to spend quite a lot of resources to reveal his ultimate potential. Still, Jekyll is a Servant with incredible highs, but he requires heavy investment to make it worthwhile. For some Masters, the sheer lengths to set him up properly may be too much effort. A highly specialized Servant, Asterios is famed for his ability to completely cripple bosses with repeated use of his Noble Phantasm. But, while the benefits are fantastic against certain bosses, setting him up is not easy. For starters, Asterios has extremely poor durability due to his class, low base stats, and complete lack of skills that offer hard survivability. He is completely reliant on teammates to keep him alive until he can start the vicious cycle of endless Chaos Labyrinths. His NP generation is not particularly great either, and on his own, he will have a massive problem building up his NP bar in quick succession. Nonetheless, it is hard to deny his effectiveness when he can pull off his niche, and many tough battles in the game can easily crumble before the might of this Minotaur. Kiyohime is another member of the F2P farming club. 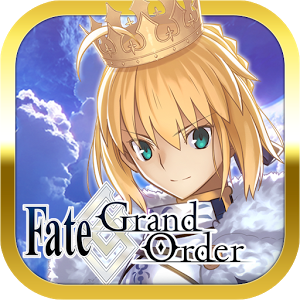 Berserker class, high accessibility, and AoE Noble Phantasm make her a good general farmer for most Masters, particularly for those who still lack stronger options. Aside from that, Kiyohime sadly does not provide anything of particular relevance, although she does pack high NP generation potential for a Berserker. 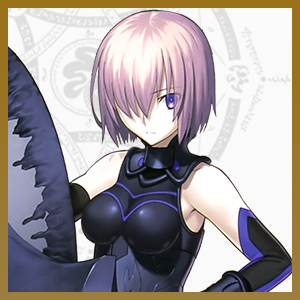 Her skill set is quite vanilla and even as a farmer, her spot is often usurped by lower rarity Servants like Eric Bloodaxe or Spartacus who occupy the same niche but demand lower resources. As a result, Kiyohime is often regarded as a stop-gap option, waiting to be sidelined by more effective farmers. Lorewise, he might be one of the more forgettable Servants in Chaldea, but for day to day farming, this Viking is a beast. Despite lacking an NP charge skill to help to build up his NP bar, Eric Bloodaxe compensates with raw damage by providing both a single target defense down and an in-built personal damage buff on his NP., Altogether, his NP damage is impressive, especially against waves with two weaker mobs and one stronger. His low rarity thus allows him to be a fantastic budget option for pretty much any Master. However, it is worth noting that Eric is pretty much limited to this farming niche as his survival skills aren’t enough to keep him alive and his stats do not make him a mainstay in normal teams. Furthermore, Eric’s usefulness is massively reduced if Masters do not have any form of Starting NP Gauge Craft Essences or Servants who can provide NP gauge for him. Romulus (ROMAAAAA) has a vanilla skill set that does not perform particularly well in either Challenge Quests or in farming content. He also has standard generation stats with accompanying low hit counts, resulting in a mediocre generation performance. While Imperial Privilege is a fantastic boost to both his attack and survivability, it is also inconsistent due to its 60% activation rate per buff. His other two skills are quite decent but do not provide any synergy to his identity as a whole, with Natural Body being only a decent self-heal while Septem Colles has terrible uptime and duration even if it is a good effect. Romulus is still decent as a filler for AoE damage against Archers, but due to the abundance of AoE Lancers in the game, he is quickly sidelined as Masters increase their Servant roster. Hektor’s skill set has some notable good points, including a powerful, reliable stun/NP drain combo skill and a reliable AoE Noble Phantasm with decent damage thanks to his Interlude. His other aspects, however, do not hold up well nearly as well. Hektor lacks strong self-buffs as well as team support, which combined with his lackluster generation stats makes him less desirable for longer fights. For newer Masters, Hektor is useful as a farming Lancer and can carry some tough fights with his stun, but for more experienced Masters, he won’t be blowing anything out of the water any time soon. Babbage is a Saber disguised as a Caster who lacks the raw offensive stats of Saber Servants. While his skills are quite solid, straightforward and have good values for a damage dealer, his poor base Attack, combined with his Caster modifier, holds him down tremendously. Having early access to an Interlude that upgrades his Noble Phantasm allows him to output some decent damage on his Noble Phantasm when all his buffs are used, and he has decent lasting power on the battlefield due to his durability. Nonetheless, if one is looking for a good AoE Caster Charles would do an adequate job. On their own, each of Caster Cu’s skills are good. However, they have almost no synergy, and he fails to carve out a niche for himself, resulting in a mediocre Servant that is hard to fit in most teams. Primordial Rune is a great skill for Critical Damage Dealers, but is wasted on a Caster with low Star Weight and weaker base Attack. After Rank Up, this skill becomes his NP battery as well, which does go well with his AoE Noble Phantasm for farming purposes. However, the lack of strong offensive self-buffs makes him less desirable for farming compared to other Casters and Berserkers. Protection from Arrows and Disengage grant him good survivability, but Cu himself does not provide any lasting benefits being on the field due to his lackluster generation stats and nonexistent team support. Last but not least, Cu has very poor availability compared to other low rarity Servants due to his status as a Story Locked Servant; thus, on average, most players will end up with a lower NP level Cu Caster. Sanson is a very specialized Servant, having two niches that not many possess, namely a targetable debuff clear and bonus damage against Evil or Human enemies. While he can achieve rather impressive numbers against the right enemies, his damage output against either Non-Evil or non-Human enemies is pretty much nonexistent, and his NP generation and Star Generation are on the lower side amongst Assassins. His main problem is that there are no enemies who share both of his anti-traits. Outside of extremely specific circumstances where his niches are useful, Sanson is generally outclassed by other Assassins. Jing Ke is quite useful during the early phase of the game. Packing good offensive stats for a 3 Star Assassin and a decent skill set that makes use of her offensive potential, Jing ke can be used in a variety of scenarios where Masters lack a good single target Assassin. 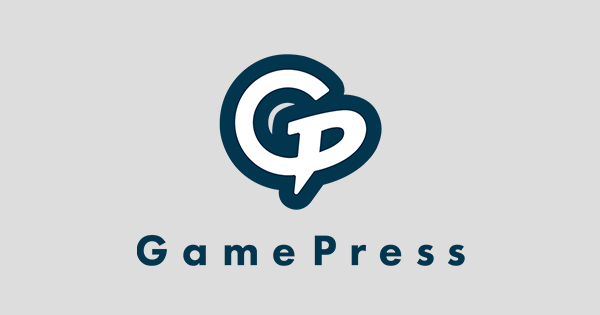 However, Jing Ke has very poor sustained damage, poor survivability, and lacks a strong specialization that grants her more value as the game goes on. Her low hit counts directly affect her ability to generate Critical Stars and charge her NP bar, and she falls extremely fast without teammate support due to the demerit on her Noble Phantasm and lack of any defensive tools. As a result, Jing Ke’s usage often decreases as Masters acquire more specialized and/or stronger Assassins. Good budget single target Assassins are somewhat of a prized commodity, due to the class’s generally poor availability and weaker baseline performance compared to other classes. Hundred Personas does not particularly stand out, as she does not do anything particularly well, but also doesn’t do anything far below the benchmark either. She comes with a middle of the road NP Generation and Star Generation even with her first skill active, a strong self-heal that comes with the demerit of removing her own buffs, and a solid single target Noble Phantasm that will get a damage upgrade and an Arts Resist Down debuff after her Interlude. 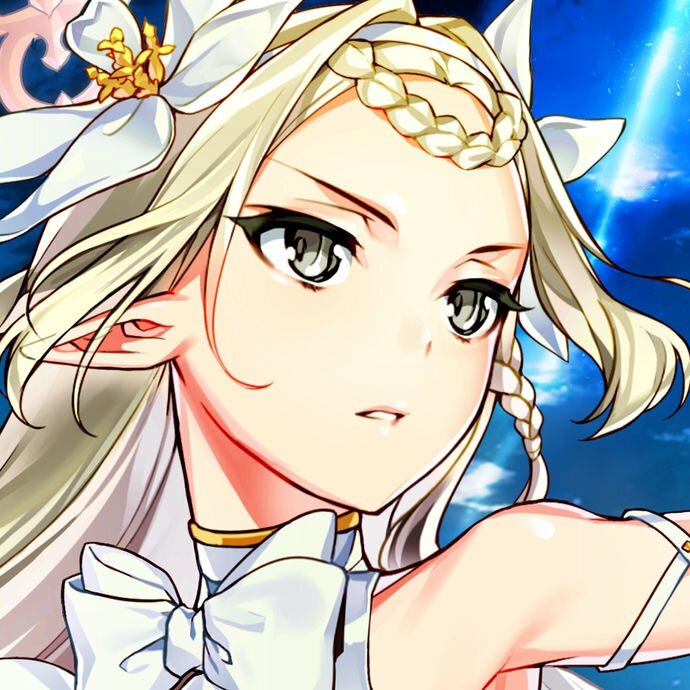 Her second skill, while providing a nice boost to all of her aspects, is highly unreliable due to its middling proc rate, resulting in inconsistent performance across the board. All in all, Hundred Persona does not offer anything unique or of substantial value to warrant higher priority over her peers, but she does her job decently enough to be helpful, especially for Masters who still lack good single target Assassins. As cute as she is, Hassan of Serenity does not hold up quite well in terms of combat prowess. She is essentially a support or utility Assassin despite her single target Noble Phantasm. Packing Critical Chance Down, NP Drain, above average NP generation and NP/Skill Seal on her Noble Phantasm, Serenity can be quite useful in certain fights to cripple the boss. Sadly, debuffers in general tend to get sidelined for more dedicated supports who offer more to the team. Serenity’s damage output is also quite poor, as she has no powerful buffs to salvage her Assassin modifier and low Attack, resulting in a damage output that is too low to kill Rider targets reliably. Darius has only one notable role: being a low rarity farming machine. His base Attack is quite decent, and his AoE Noble Phantasm hits hard thanks to a combination of an NP upgrade and how Masters can max his NP level fairly easily over time. Unfortunately for the Great King of Persia, the AoE Berserker specialization is an incredibly crowded niche and there are quite a few low rarity Servants that achieve nearly the same result. Additionally, his skills and generation stats offer very little sustainable usefulness and his kit lacks synergy with his prime role of dealing damage. He is useful for newer Masters who need a glass cannon to get through early stages of the story, as well as alleviating farming trouble once equipped with starting NP Craft Essences. His main purpose in the long run is his evenly distributed AoE damage that averages higher damage per target than Eric - who instead can deal more damage to a single target. Gilles Saber is definitely not someone who fits in any common mold. He is highly unique and has some fun potential for Masters who enjoy trying out more niche Servants. However, making him work requires a lot of effort, both in terms of material investment and a supportive cast. Despite being a damage dealer, his Noble Phantasm does not deal any damage by itself, which holds him back tremendously in terms of easy access to high damage output. It is usually not worthwhile trying to turn him into a pseudo-berserker through his Noble Phantasm when there are plenty of Servants around who can boost the performance of the entire team while still doing equivalent damage with their Noble Phantasms. Considering his vanilla hit counts, hard to chain Arts NP, and low base Attack, it is simply more efficient and effective to just use more well-rounded Sabers in his stead. Still, he can output some hilarious damage numbers if set up right. Of the low-rarity Taunter squad, Benkei is quite possibly the least useful and hardest to use. While he has some interesting debuffs in terms of NP Seal and Skill Seal, his effectiveness as a Taunter pales in comparison to his peers like Saint George or Leonidas, who pack both better duration on their Taunts and more durability to make it work. To make matters worse, his debuffs are unreliable and can fail quite easily against foes with Debuff Resistance. All in all, he may be useful in certain battles where NP Seal / Skill Seal and Taunt together are needed for one turn, but those are few and far between and other Servants will generally offer more value to the team. Diarmuid suffers from a skill set that mainly lacks any form of offensive synergy. All of Diarmuid’s skills are highly irrelevant to his special niche - a buff clearer -, despite effort to mirror his legend. One of Diarmuid’s unique points is buff removal on his Noble Phantasm, which is a relatively rare ability, but he is completely outclassed in this niche by Medea who does so much more efficiently and with much better NP uptime. As a Quick Lancer, Diarmuid either does significantly less damage or has much weaker survivability in comparison to his Irish peers. Worse yet, his generation stats are abysmal when his hit counts are considered. All in all, due to how abundant strong Lancers are in general, and the easy accessibility of Medea as a buff removal specialist, there are few strong arguments for fielding Diarmuid in a team. Paracelsus’s skills do not seem too bad at first glance, but their cooldowns are absolutely monstrous. Furthermore, his damage output is very poor, even by Caster standards. This is the result of a combination of low attack, poor steroids, and a Noble Phantasm with lower multipliers than usual. 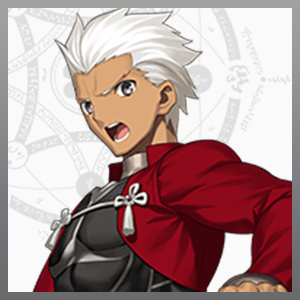 That being said, he still has access to an NP Interlude and his Rapid Casting allows him to quickly charge his NP bar for farming shenanigans, which can be highly valuable for Masters wanting more capable hands to take down Assassin or Berserker waves. Furthermore, he will get significantly better once he gets the Rank Up Quest for his third skill, which grants him a valuable niche in being an enabler for many Arts NP spammers. The Demon of Deceit is a very situational pick. His biggest draw is his particularly rare Buff Block capacity (after Rank Up), which is valuable in some challenging battles. Outside of this niche, Mephistopheles’s performance is quite poor, due to a combination of poor card distribution for offense, extremely low damage output from his Caster class modifiers, and a lack of other good utility and steroids to make up for that. Despite his AoE Noble Phantasm, Mephisto’s complete lack of offensive buffs and low Attack mean he won’t be particularly useful even as a farming Servant, and one should generally look to other AoE Casters or Berserkers for farming. Few embody existential crisis better than Phantom of the Opera, who not only suffers from relatively poor story representation but also a lackluster kit in terms of gameplay. To start off, his base stats are underwhelming, which is further aggravated by his Assassin Class damage modifier. His skill set does not particularly counterbalance these downsides either, as Mental Corruption and Siren Song have almost zero impact in most circumstances, and his remaining skill, Innocent Monster, doesn’t improve his own offense much and actively worsens his defense. His Critical Star and NP generating capacity is similarly weak because of his poorly distributed hit counts, and his star generation is only partially remedied by Innocent Monster. Phantom’s main redeeming quality is having an offensive AoE Noble Phantasm, which is quite rare amongst more accessible Assassins. In addition, his Noble Phantasm grants him unique niche in applying a potent AoE Debuff Resistance Down debuff. Still, for most Masters it is hardly a strong enough Noble Phantasm to justify using him over better Assassins and/or Berserkers. If Mata Hari had a higher rarity, she’d most likely be much better than she currently is. In contrast to many of her lower rated peers, Mata Hari has a distinct identity as a dedicated debuffer who can layer debuffs on enemies continuously, while also locking them down with her Charm. The tradeoffs, however, are quite hefty. 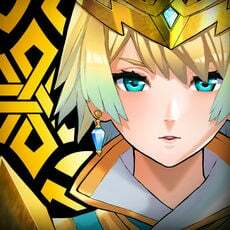 Mata Hari has the little damage potential and one of the weakest survivability in the game. She has very low base stats, close to zero defensive skills and no strong offensive self-buffs whatsoever to make up for her stats. Even though she packs a Star Generation buff, her Star Generation is quite poor as well due to the low hit counts on all of her cards. The benefits she brings to the team are usually not worth all of these downsides, as she requires particular team compositions to work well in, while her paper-thin defense increases her unreliability. In ideal cases one would have her use debuffs and quickly switch her out with Order Change. Thus, Mata Hari is a sweet girl that is worth cherishing, but generally not one who is well-suited for combat. A frequently unnoticed Servant, Caligula is a highly hit-or-miss Servant. Despite his low base stats due to his low rarity, Caligula has enough steroids to deal astounding amounts of damage when all of his skills are active. However, this mad emperor can fall down with just a slight breeze, and the inconsistent nature of Imperial Privilege, his strongest skill, makes it extremely hard to maintain a high level of damage output. Furthermore, Caligula’s non-damaging Noble Phantasm is rather underwhelming considering the amount of effort required to get him to 100% NP bar. Fielding Caligula is usually not worthwhile given there are other Berserker alternatives but dedicated Masters can extract some incredibly juicy damage out of him with the right team composition. Arguably the rarest Servant in the game, Angra Mainyu is not an unfamiliar face to most fans of the Fate franchise. Angra is a highly unique Servant, holding two peculiar gimmicks that may not be universally practical, but can yield some interesting results and team compositions. His first gimmick is dealing damage that is entirely unblockable, bypassing defense and damage reduction, based on how much HP he has lost compared to when he first activated his NP. The downside to his NP is that if he dies (easily given his low HP), or if no one attacks him, his NP essentially becomes useless. The other gimmick is his third skill, which increases his Quick card performance for five turns, but in return, he dies when the five turns have passed. Needless to say, both gimmicks are particularly hard to utilize and require some very specific team compositions to pull off. Angra is generally more or less a “trophy” Servant, one that Masters can take pride in pulling from the Friend Gacha, and is quite valuable as a CE holder for events, as he yields the same amount of Bond Rewards as a 4 Star Servant while having the Party Cost of a 2 Star Servant. His Avenger class may also be useful during events (for drop bonuses), while the typing itself can have some use in underdeveloped rosters - although Berserkers are typically preferred. Boudica is a sweet elder sister that deserves all the happiness in the world. With that out of the way, her combat performance leaves much to be desired. Her damage potential is nonexistent, as she lacks a damaging Noble Phantasm, has extremely low base stats, niche steroids, and competes with too many powerful Servants of the same class. As a support, she does not fare much better. While she has a party-wide Arts boost after her Rank Up, and offers defensive buffs on her Noble Phantasm, the values on these are quite weak and many other Servants will pull off whatever form of utility Boudica can grant much better. Most notably, she competes with everyone’s favorite eggplant Servant as an easily accessible defense buffer. Furthermore, her innately high Star Weight is more of a hindrance than an actual benefit, as she pulls away Critical Stars from teammates that could make better use of them than her. All in all, there might be certain team compositions that can make use of Boudica’s Defense buff on her Noble Phantasm, namely those pairing her with Servants like Mash or Zhuge Liang. However, there are far better alternatives when it come to Defense buff stacking compositions. It is difficult to get a lot of mileage out of Geronimo. On paper, his skills seem not bad at first, having a Mana Burst variant on each of his skills and an AoE Noble Phantasm that can both damage the enemies and heal the team. But that is all he has. Past that Mana Burst-coated surface is a Servant with a skill set that completely lacks any form of synergy, utility, hard survivability, or serious damage potential. He does not benefit much from the Buster or Quick effectiveness boosts, which makes two of his skills only marginally effective. The only thing Geronimo uniquely provides is an NP that heals the party and deals AoE damage at the same time. In most cases, running him for his NP is not worth it considering he mainly has access to a single useful skill. Caster Gilles is unfortunately more concerned with being the ultimate COOL than efficiently destroying his enemies. He is Story Locked, meaning his availability is already poor compared to most of his peers, and his skill set does him no favors either. His Mental Corruption skill essentially only bolsters the success rate of his third skill, Evil Eye of the Abyss, and while the combo can be quite powerful, it has an enormous cooldown and is still not reliable even with both skills maxed. His Aesthetic Appreciation skill’s NP damage down only works on Servants and its values are too low to be practically useful. To top it off, he has an out of place Buster AoE Noble Phantasm with a lackluster Attack Down overcharge effect, compounded by his abysmal base Attack and complete lack of offensive self-buffs. It is unfortunate that his meme potential is quite high, because it would take an enormous amount of effort to even make him as usable as a standard 3* Caster.